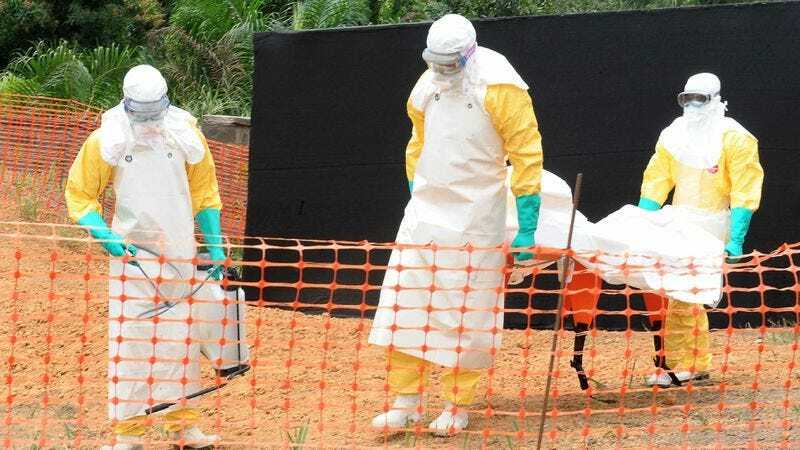 CONAKRY, GUINEA—With the death toll in West Africa continuing to rise amid a new outbreak of the Ebola virus, leading medical experts announced Wednesday that a vaccine for the deadly disease is still at least 50 white people from being developed. “While all measures are being taken to contain the spread of the contagion, an effective, safe, and reliable Ebola inoculation unfortunately remains roughly 50 to 60 white people away, if not more,” said Tulane University pathologist Gregory Wensmann, adding that while progress has been made over the course of the last two or three white people, a potential Ebola vaccination is still many more white people off. “We are confident, however, that with each passing white person, we’re moving closer to an eventual antigenic that will prevent and possibly even eradicate the disease.” Wensmann said he remained optimistic that the vaccine would not take considerably longer than his prediction, as waiting more than 50 white people for an effective preventative measure was something the world would simply not allow.